Joanne McNabb is a privacy consultant, providing organizations with research and recommendations on privacy issues and practices. 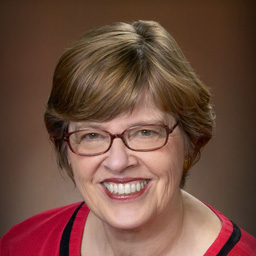 McNabb was Director of Privacy Education and Policy in the California Attorney General’s Office for five years, prior to retiring from state service in 2017. In that position, she developed policy papers and educational programs for individuals and businesses on a broad range of privacy topics. From 2001 until 2012, Ms. McNabb directed the California Office of Privacy Protection, which was a resource and advocate on privacy issues. She is a frequent speaker at privacy conferences and forums. Before her career in privacy, she worked in public affairs and marketing, in both the public and private sectors, including five years with an international marketing company in France. Ms. McNabb is a Certified Information Privacy Professional, with specializations in Government and Information Technology, a Fellow of the Ponemon Institute, a research center on privacy, data protection and information security policy, and a member of the Consumer Interest Forum of the American National Standards Institute. She attended Occidental College and holds a master’s degree in Medieval Literature from the University of California, Davis. Regulators: What Are Their Big Issues?